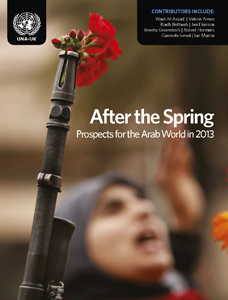 After the Spring: Prospects for the Arab World assesses the developments in North Africa and the Middle East and is designed to promote and facilitate international engagement. It aims to hold international focus on the challenges that lie ahead and acts as a medium for those involved in the process to share their experiences and expertise. 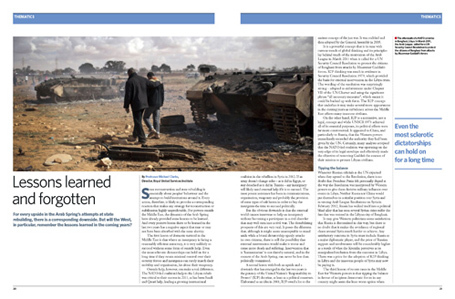 The publication is edited by Professor Gareth Stansfield and Lieutenant General (Retd) Sir Paul Newton, with articles from leading authorities, including Jan Eliasson, Robert Hormats, Ian Martin, Riadh Bettaieb, Baroness Valerie Amos and Sir Jeremy Greenstock.